The goal of a basketball trainer is to be able to maximize player development for each individual player. Every great basketball coach or trainer is able to get the most out of their players and allow them to reach their full potential. However, this does not just happen by itself. It takes a game plan and consistency. The truly great coaches recognize this and are committed to the process of developing their players. Here are three keys that I picked up from my playing career and now my skill development and coaching career. Just as a doctor runs tests on a patient before diagnosing them, you as the coach need to run the player through different tests and figure out what areas of their game are strong and which ones need work. You can do this through different basketball drills of your choice, but it is important that you learn each individual players strengths and weaknesses. 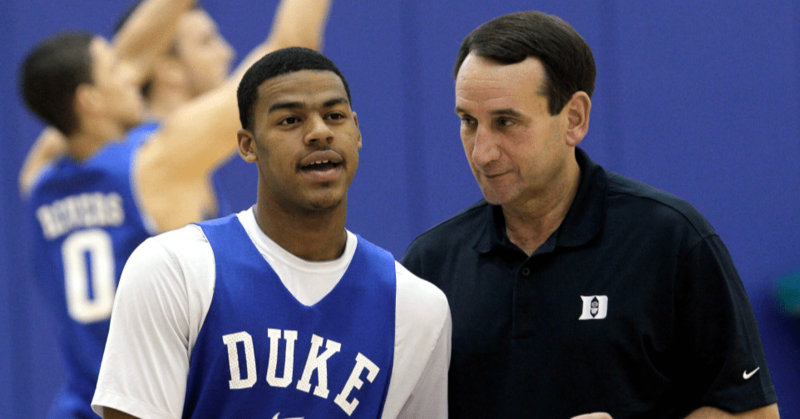 Once you have evaluated the player you can start to figure out how you are going to help them. For example, if they have trouble dribbling with their eyes up than you could use tennis ball drills to force them to keep their eyes up while dribbling. That is just one example, but it is important that you design your workouts specifically for that player so that they can work on their specific weaknesses. Sometimes it may not even be a specific skill but something that they struggle with during the course of a game. Maybe it is mental toughness and execution down the stretch of a game. In this scenario you would want to create tough situations in workouts that are going to challenge the player mentally and physically. The key is making sure that you understand the player and what they need to improve on, no cookie cutter training. You should have a game plan for where you want the player to be going and how they are going to get there. The game plan should include both short and long term goals for the player. Every player is going to be different so really sit down and think about what is best for that specific player. A great way to involve the players as well is to give them a piece of paper and ask them to write down their short and long term goals on one side of the paper, and then on the other side what they are going to do on a weekly basis to accomplish those goals. It will help give them some ownership in the process, which is big. As mentioned in the previous key, it is important that you specifically tailor the game plan for the player. Magnify the players strengths and develop their weaknesses. If someone tells you to do something and you don't understand why you have to do it you are going to be hesitant about it. However, if they tell you to do something and then explain the importance of why you should do it as well, you will be far more likely to do it. The same thing goes for your players. Explain to them the importance of why they are doing something a certain way. One it will make them more likely to do it, but it will also really help them learn the game and improve their basketball IQ. The better a player can understand the game, the better they will be able to execute different moves and skills. It is important that you watch film with players, breakdown different moves/situations, and have them learn from other experienced players. Coaching comes with many responsibilities and one of the biggest is maximizing what a player is capable of doing. You have a big job as a coach, to really be able to develop your players and allow them to have the chance to do something special with their basketball career takes hard work and commitment, but it is absolutely worth it in the long run.